Deep Look is a wonderful new science video series from KQED. 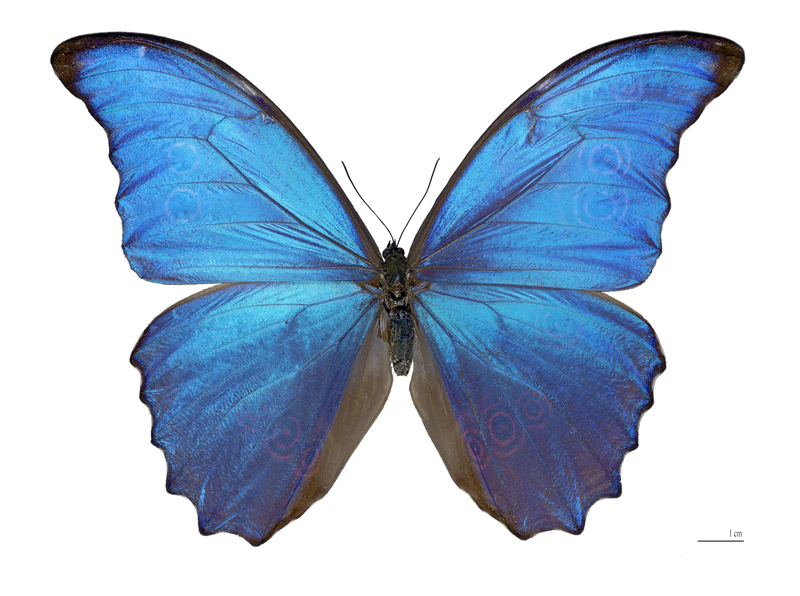 Here they show us how the blue Morpho butterfly actually does not contain any blue pigment. The blue effect is due to the way light scatters off microscopic structures on the wings. Something very similar happens in blue eyes, which also contain no blue pigment at all. Paul Van Slembrouk’s story ‘Structural Eye Color Is Amazing’ on Medium provides a great explanation of why each eye colour looks the way it does. Thanks to thesciencestudio.org, where I found this gem, and where many more interesting things await.